Every week, public figures from around the World are hosted by the Aegis Trust at the Kigali Genocide Memorial in Rwanda. Whatever the context of their visit, celebrities, entrepreneurs, senior diplomats and heads of state alike have the opportunity not merely to observe protocol but to reflect as human beings on the enormity of what can happen when politicians and opinion leaders allow the fate of people at risk of genocide to slip from their priorities. In 2009, for the 15th commemoration of the genocide against the Tutsi, some of these visitors were among the dozens of high profile figures filmed around the World by the Aegis Trust lighting candles of remembrance and hope – screened in the national stadium in Kigali as 10,000 candles were lit by Rwandans on the pitch. Alongside Aegis Patron Desmond Tutu, politicians such as David Cameron and Madeleine Albright, and fellow stars including Forest Whitaker and Scarlett Johansson, the actor Clive Owen lit a candle on camera for the commemoration. Subsequently visiting Rwanda with Aegis, Clive became Goodwill Ambassador for the organisation. In 2012, the Aegis Trust was joined by Dr Mukesh Kapila as Special Representative on Crimes Against Humanity. As head of the UN in Sudan, Kapila had blown the whistle on the Darfur crisis in 2004. From 2012 to 2014, Kapila visited Sudan three times with Aegis to focus attention on the ongoing targeting of African civilians by the Government of Omar Bashir – the only sitting head of state against whom the International Criminal Court has issued an arrest warrant for genocide. Whether visiting Rwanda, taking part in campaigning with Aegis, or supporting the organisation in other ways, we are proud to count many high profile individuals and organisations among those who have endorsed the value of our work for the prevention of genocide. The cause continues to be greatly enriched by their involvement. “I want to thank the local government and the Aegis Trust and all the people who've worked on this. This is in some ways the most moving memorial of its kind I've ever seen, simply for the power and simplicity of it.” Former US President Bill Clinton speaking on a visit to the Kigali Genocide Memorial. 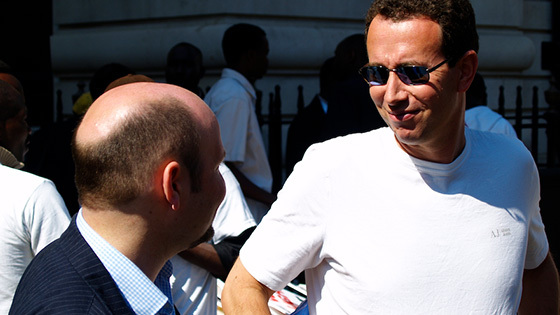 Stars and survivors unite for Darfur during an Aegis campaign in 2007. Left to right: Chiwetel Ejiofor (’12 years a slave’); Ibrahim Issa Korkor (Darfuri survivor); Mia Farrow (Actor, Director, UNICEF Ambassador), Clare-Hope Ashitey (‘Shooting Dogs’, ‘Children of Men’). David Cameron speaks during an Aegis event at Canada House in London, alongside Stephen Twigg MP (centre). Schools Minister under the premiership of Gordon Brown, Twigg is now Chair of the All Party Parliamentary Group for Genocide Prevention – the secretariat for which is provided by the Aegis Trust. As part of the ‘Candles for Rwanda’ initiative organised by Aegis in 2009, Oscar-winning actor Adrien Brody (‘The Pianist’) becomes one of dozens of celebrities to light a candle on camera in remembrance of the genocide against the Tutsi – and in hope for a brighter future. Aegis delegation to the Central African Republic (CAR) meets with interim President Catherine Samba-Panza, August 2014. Over the preceding year, 5,000 people had been killed and more than a million driven from their homes in CAR during appalling sectarian violence perpetrated by the Muslim Seleka and Christian Anti-Balaka militias. Aegis is working with government and faith leaders in CAR to help establish effective peacebuilding and prevent the country sliding into genocide. 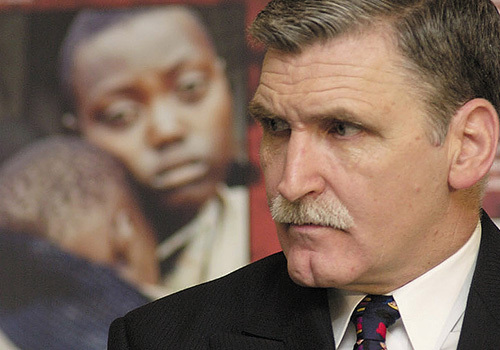 UN Force Commander in Rwanda during the genocide in 1994, Lt Gen Romeo Dallaire is now a retired Canadian senator and a celebrated humanitarian. 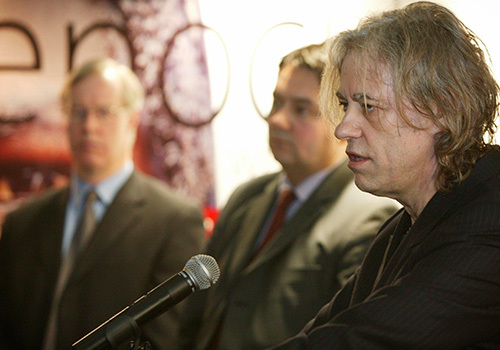 Irish singer and humanitarian Bob Geldof is probably best-known for orchestrating Band Aid, Live Aid and the Live 8 concerts – raising millions to counter famine and poverty. 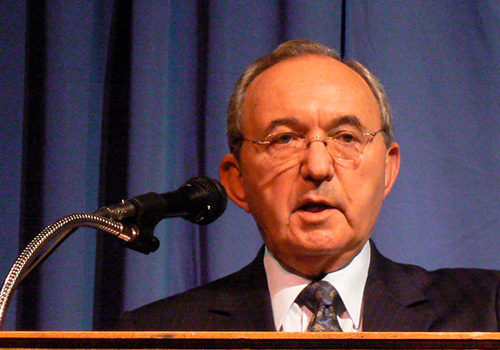 South African former judge Richard Goldstone was the first Chief Prosecutor for the International Criminal Tribunals for both Rwanda and the former Yugoslavia. 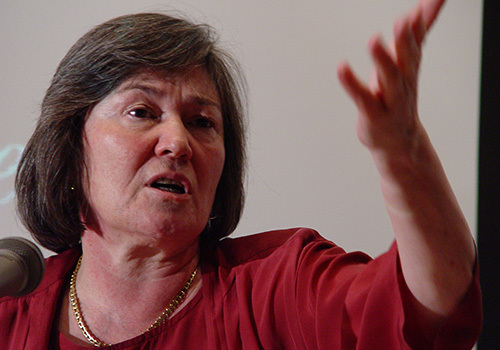 British Secretary of State for International Development from 1997 to 2003, Clare Short was the first Chair of the All-Party Parliamentary Group for Genocide Prevention. 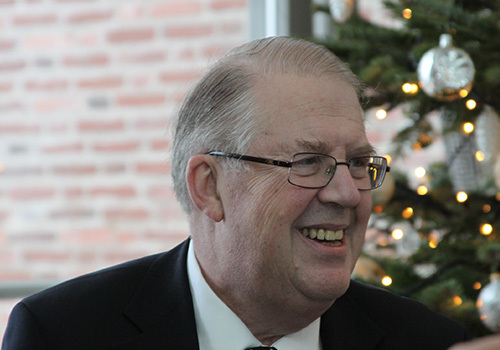 Swedish industrialist and humanitarian Marcus Storch, whose father worked with the legendary Raoul Wallenberg, was Chairman of the Nobel Foundation from 2005 to 2013. 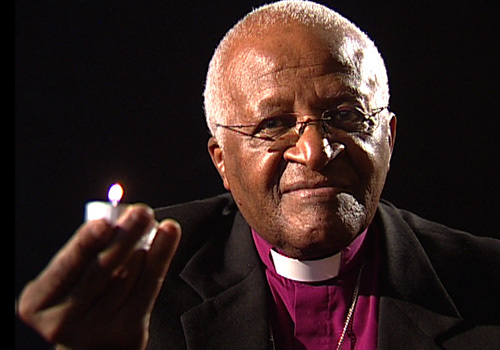 Retired archbishop famed for his leadership in the anti-apartheid campaign in South Africa, Desmond Tutu remains a trenchant human rights defender. 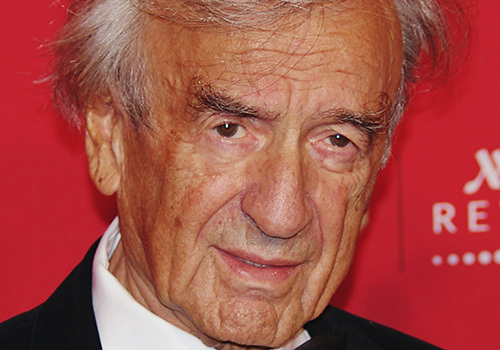 Author of ‘Night’ – and 56 other books – Romanian-born Auschwitz survivor Elie Wiesel is one of the most famous writers to emerge from the Holocaust. 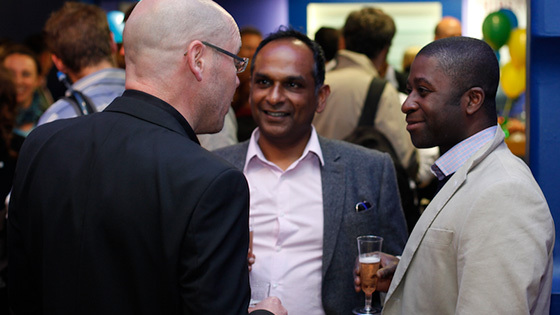 Led by Trevor Pears (pictured), the Pears Foundation is a founding patron of the Aegis Trust and one of many organisations that we are privileged and proud to work with. 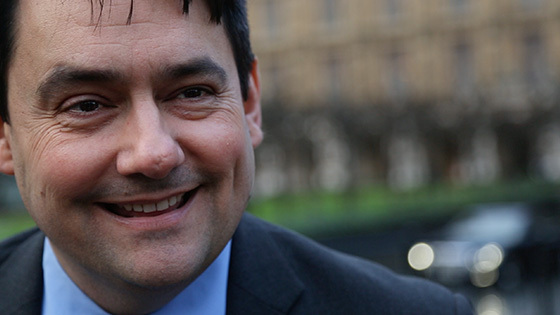 Through our work with parliamentarians such as Stephen Twigg (above), Aegis advocates for the protection of civilians at risk of mass atrocities. Find out more here.